Although changes in the way police forces record road casualty and collision data is partly to blame for increases in road casualty statistics, more action is needed to counter stalling progress on road safety. According to DfT data, road crashes in 2015 cost the British economy an estimated £35.55bn including human costs and lost productivity. So says road safety charity Brake as latest government statistics show the number of people seriously injured in reported road traffic accidents last year was 24,101 – up 9% on 2015 – while there were 1,792 reported road deaths; an increase of 4% on 2015 and the highest annual road deaths total since 2011. 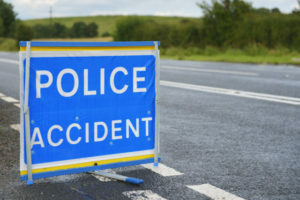 The increase in the number of people seriously injured in reported road traffic accidents is being attributed by the government at least in part due to changes in the way many police forces now report collision data. In response, the London Road Safety Council (LRSC) has expressed concern over the comparability of the new casualty statistics, saying that with half the police forces in the country having switched to a new reporting system, this makes it virtually impossible for the data to be meaningfully compared across the country. Approximately half of English police forces adopted the CRASH (Collision Recording and Sharing) system for recording road traffic collisions at the end of 2015, or the early part of 2016. In addition, the Metropolitan Police Service switched to a new reporting system called COPA (Case Overview Preparation Application) from September 2016. With CRASH and COPA, the police officer records the type of injuries suffered by the casualty rather than the severity (severity is measured simply as ‘slight’ or ‘serious’). Under other systems, police officers need to determine themselves which injury type classifies into each of the two severity types. CRASH and COPA are designed to eliminate any uncertainty that arises from the officer having to use their own judgement – and therefore be more accurate. Mark Bunting, LRSC’s press officer, said: “Further investigation may show that the new systems are giving a truer representation of serious injury numbers, but with half of the police forces using the old system and half the new it, it is now impossible to meaningfully compare data from across the country. However, speaking last week at the Brake Fleet Safety Awards ceremony, CEO Mary Williams said the rise in serious injuries is partly due to the change in recording methodologies, but “probably not in entirety”. Instead Brake is calling for a road collision investigation branch, similar to those already in existence for air, rail and sea, so that lessons can be learned to prevent future crashes. Brake is also calling for mandatory lessons on rural roads for learner drivers under a graduated licensing system that also includes a minimum learning period. And the charity also says there should be a review of speed limits on rural roads – where most deaths occur – and standard fitment of ‘Voluntary Intelligent Speed Adaptation’, which helps drivers keep within the limit, as part of proposals being considered by the European Commission.For more of the latest industry news, click here.